After Mayor Bloomberg had first stated that the New York City Marathon, which attracts thousands of participants from all over the world, would go on as scheduled despite Hurricane Sandy’s devastation of the city and area, he changed his mind in the wake of criticism for his decision. 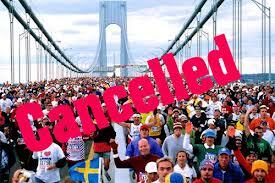 Stating that, “I wish that we didn’t have a hurricane and that we could have had a great event,” Bloomberg nevertheless announced on Friday that the marathon was officially cancelled. Supplies like blankets and bottles of water originally organized for the upwards of 40,000 runners would instead be distributed among the victims of Hurricane Sandy. "We would not want a cloud to hang over the race or its participants, and so we have decided to cancel it. We cannot allow a controversy over an athletic event — even one as meaningful as this — to distract attention away from all the critically important work that is being done to recover from the storm and get our city back on track." Not everyone agrees that the mayor’s decision was the correct one. Giuseppe Paladino, a 40-year-old runner from Italy, was angry about the cancellation. “I feel like it was a trick . . . I feel like I was robbed,” he said. Paladino explained that he has spent $800 on airfare and an additional $2,000 so that he could participate in the marathon. The race was supposed to have begun this Sunday, November 4, and bright orange banners are still hanging from lampposts in Central Park, a sad reminder of the effects of the Hurricane and how many different ways disappointment can manifest itself. Another would-be participant, Judy Taveira of Austin, Texas explained how the mayor’s hesitation and flip-flopping caused her distress. Bloomberg’s decision to go on with the marathon elicited fierce criticism of insensitivity, forcing the mayor to change his mind at the last minute, barely 36 hours of the race’s scheduled starting time. 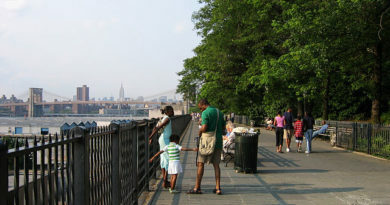 The race’s traditional starting point is Staten Island, where 19 residents lost their lives during the relentless storm.